To mark Israel at 70, the nation’s 70th Anniversary as a modern nation, GOD TV is airing the following broadcasts including To Life which shows the immense contribution Israel makes to the world. For over 10 years March of Life has brought people together from every corner of the world in remembrance and reconciliation — against anti-Semitism and for Israel. 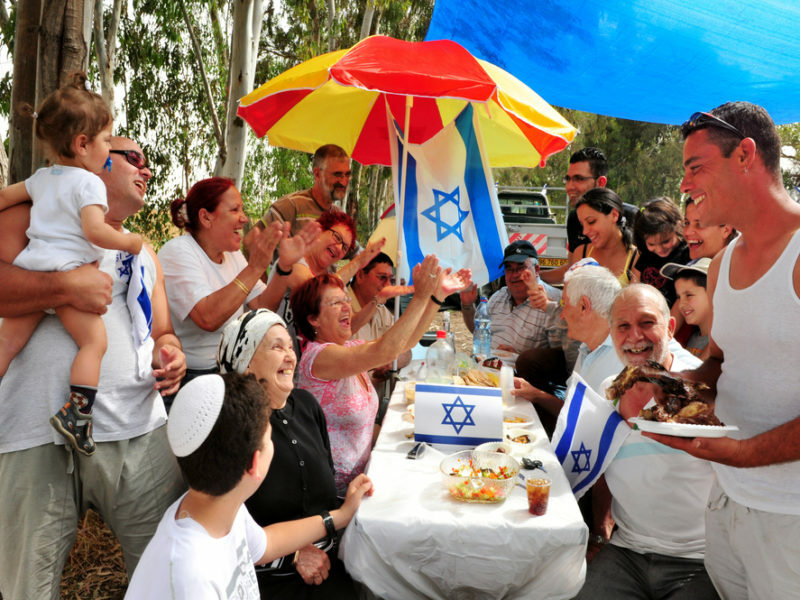 This year promises to be a momentous occasion as we commemorate Israel’s 70th Anniversary. Join us for a time of celebration, healing, friendship and new life! Watch on GOD TV on May 15th. Why is the restoration of Israel 70 years ago so important? From May 14 – 20, 2018, Rabbi Jonathan Bernis and co-host, Daniah Greenberg uncover the prophetic significance of Israel’s rebirth and dig deeper into Bible prophecy being fulfilled right before our eyes today. Learn why this landmark event matters to Christians and the entire world. Daniah Greenberg is the President of the Tree of Life Bible Society. Covenant and Controversy is a three part series that explores the history and theology of the enduring controversy over the Jewish people, the Land of Israel, and the city of Jerusalem. The Great Rage looks at historical expressions of Jew-hatred and grapples with the progression of this international rage, in present-day over the land of Israel, it’s people and Jerusalem. The City of the Great King. Dalton Thomas, Joel Richardson, Scott Volk, Michael Brown and others look at how Jerusalem is steeped in controversy yet is knit to God’s Everlasting Covenant.